I made you fudgesicles! 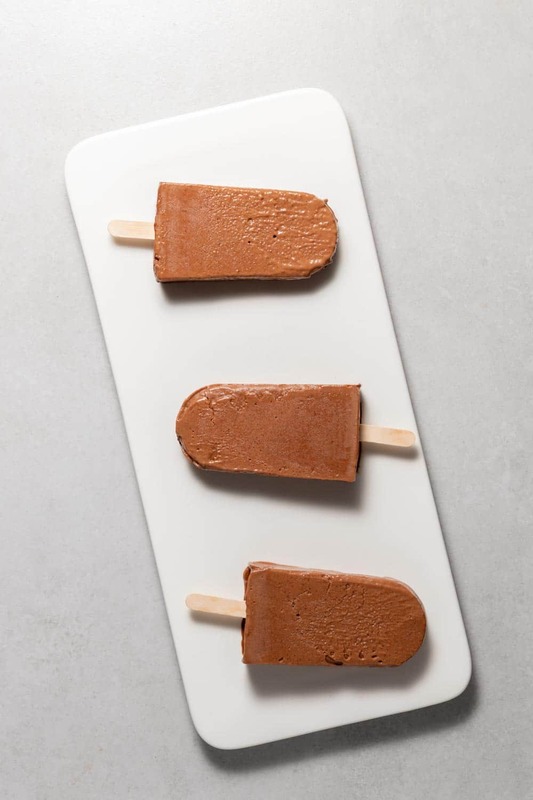 Dairy-free, 5 ingredient fudgesicles. Creamy, chocolatey and perfect for Summer. Yes, I said summer. I know it’s only March but we got rocked by an epic thunderstorm last night that oddly made me crave warm, sticky nights. Because the best thing to pair with overly humid, Midwestern evenings is a homemade fudgesicle. Obviously. 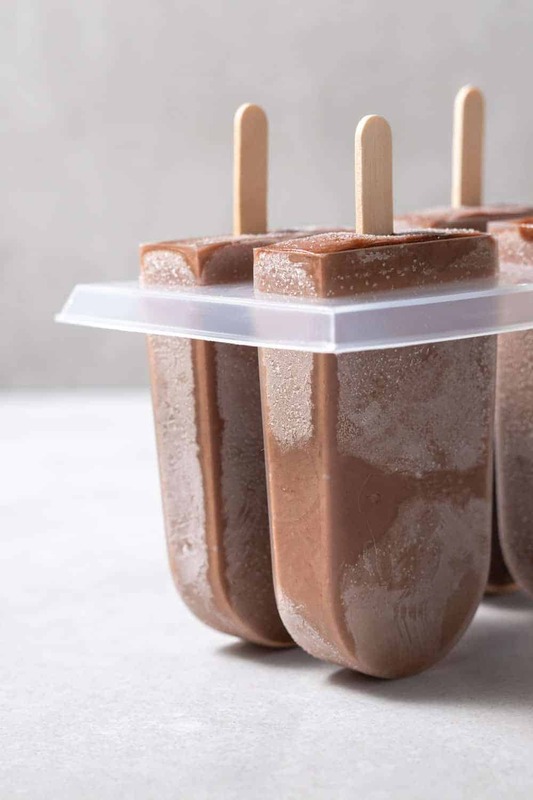 These chocolate banana popsicles couldn’t be easier! 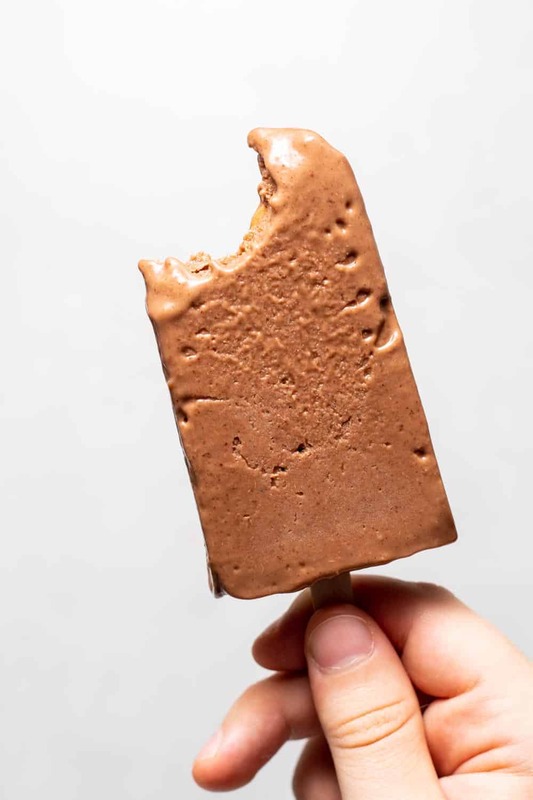 You already know that whipped frozen bananas make for an incredibly refreshing ice-cream dessert, and the same is true for fudge popsicles! 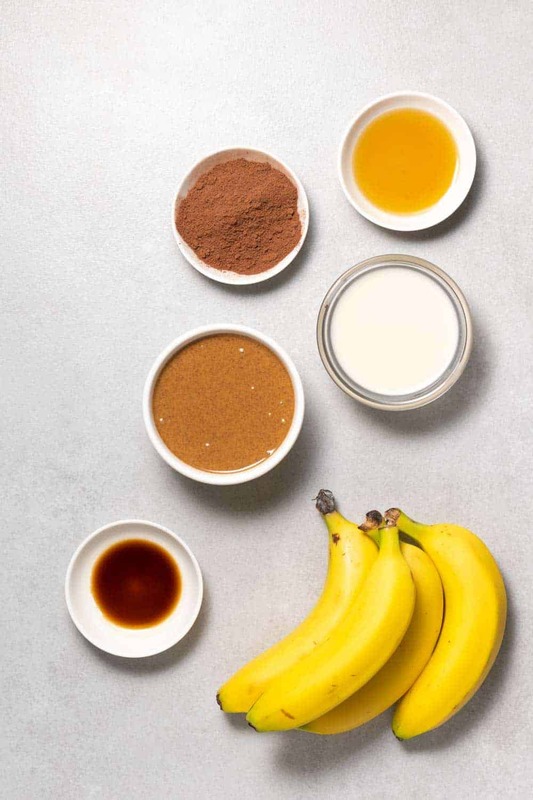 Bananas, cocoa powder, almond (or peanut butter) and a little vanilla extract blend together to create a very delicious dessert. I made these last week and let Van have a few licks over the weekend- suffice it to say, this kid is as hooked on these as I am. For the base, I looked no further than my current favorite snack: banana + almond butter. It’s got enough carbs, protein and fiber to power me through until dinner time. Plus, it’s a snack I feel good about- and don’t have to worry about ‘crashing’ an hour later. Did you know that almonds have the most plant-powered protein (6g), fiber (4g), calcium, riboflavin, vitamin E, and niacin of any tree nut? Stats like that make me swoon. And hungry. However, it’s not a big deal if you don’t want to use almond butter in this recipe. 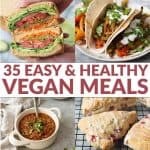 I’ve used peanut (and cashew!) in testing these banana popsicles and all of them work well. 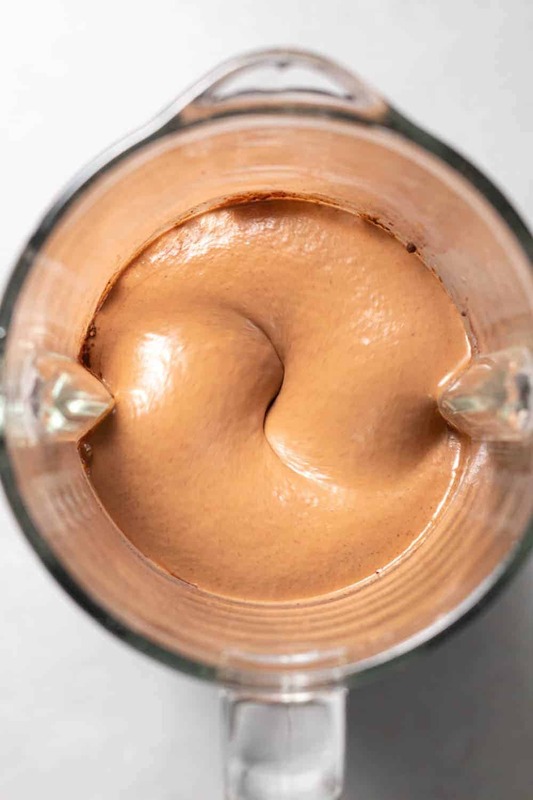 Use whatever nut butter your family likes best! The amount of sweetness that you add is really up to you. Since I knew I’d be sharing these with Vander, I added in just a tablespoon of maple syrup. 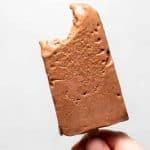 I say this often, but my palate is much more savory than sweet, so if you prefer a sweeter popsicle then you might need to add in a little more. This will also depend on how ripe your bananas are. Riper bananas contain more sugar (and therefore are sweeter) than green bananas. The popsicles will become more sweet as they freeze, so consider that as well. One last thing! You can make these without the cocoa powder. They really are completely customizable to your needs and preferences. You can also make these into striped popsicles by creating two batches: one with cocoa powder and one without. 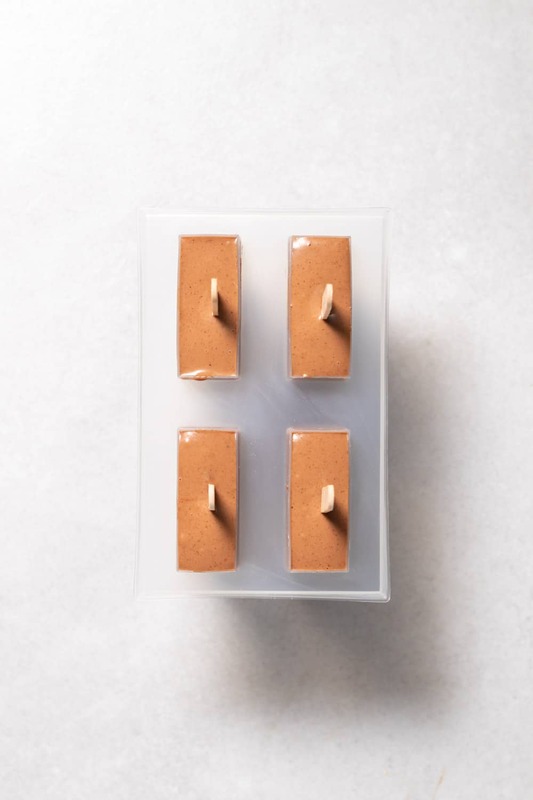 Then, fill a popsicle mold with a little bit of one flavor, top with the other, and continue to make banded fudgesicles that look really cool once frozen. I have a toddler and therefore 0.67 seconds to cook, so I won’t be doing that anytime soon, but it’s a fun idea if you are making these together with older kids. When you’re ready to get your snack on, just run hot water over the molds for 10-15 seconds and they should pop right out. 3pm snack time is the best time of the day and it’d be even better if these appeared in my freezer! Such a great idea, and what a fun, healthy snack! Bring them on! What can I substitute for almond part as I’m allergic to them? Hi Zarina, you can use peanut butter or sunflower butter instead. Hi, Alex, Recipe looks awesome! 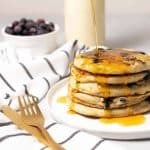 I have a general question about almond butter. So many of the brands I pick up in grocery store contain palm oil, and sometimes added sugar. The way more expensive organic almond butter does not seem to have the palm oil but the price is very high. What do you recommend buying and perhaps it is preferable to make one’s own almond butter? Hi Susan- totally agree; I LOVE the taste of almond butter, but the price point can be much higher than other nut butters. You can absolutely use peanut butter in this recipe if you’d like. I do make my own, when I have the time. It really doesn’t take much effort, just a little time to blend!